The Young and the Restless (Y&R) spoilers tease that a huge writing team shakeup is happening on the CBS soap. 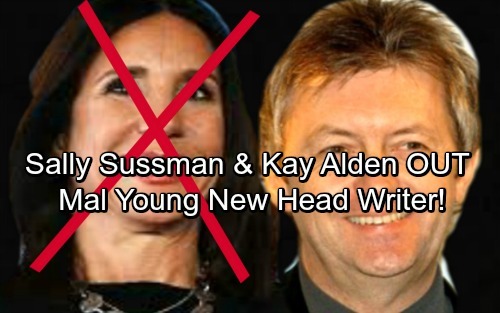 Y&R’s current head writer, Sally Sussman, is retiring from the soap biz. According to Jamey Giddens of Daytime Confidential, Sussman is choosing to focus on other projects. She’ll be stepping down from her position so she can devote more time to documentary filmmaking. Another member of the writing team, Kay Alden, will be retiring as well. This will certainly spark some changes in the show’s tone. Losing two writers could mean major shifts for The Young and the Restless. Now that we know Sussman is leaving the top spot, you might be wondering who’s taking over. It looks like Mal Young, Y&R’s executive producer, will be next on the writing throne. Ever since Young landed at the CBS soap, he’s had a vision of what he wanted the show to look like. It’s possible that Sussman’s vision didn’t line up. That could have been a factor in her decision to leave The Young and the Restless. Whatever the case, Sussman is out and Young will have even more influence in where he wants Y&R to go. Sussman has always made it clear that she never had much use for Adam Newman (Justin Hartley). Will we finally see a recast now that Young will be handling the scripts? Most buzz suggests that the execs have been pushing for Adam’s return, so viewers should be hopeful. Maybe this reboot will be just what Y&R needs. What kind of storylines are you hoping for now that Mal Young is taking charge as the show’s head writer? Do you think he’ll deliver what Young and the Restless fans want? We’ll give you updates as other news comes in. Stay tuned and don’t forget to check CDL often for the latest Young and the Restless spoilers, updates and news. Sign up for our newsletter by clicking here and get the latest breaking soap news! ‘The Young and The Restless’ Spoilers: Do You Like Jason Thompson’s Portrayal of Billy Abbott?